Rosy here! 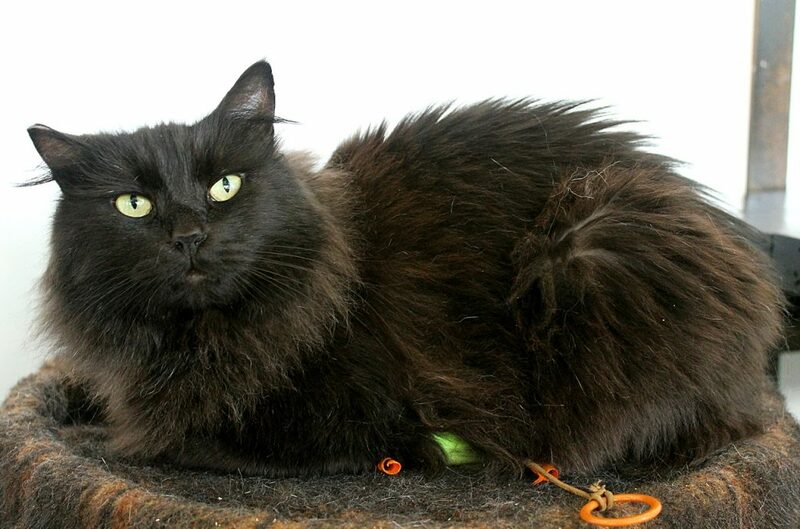 I am a fluffy black lady cat and at only 3 years old, I have a lot of love to give! Right off the bat, I’ve proven to be a very confident and loving cat who is really more on the mellow side. Although I can definitely get into playtime, most of the time I’m happy just lounging around and waiting for the next lap to sit on. I’m currently residing in the Pixie cattery where I live peacefully around other kitties, but I am not necessarily in need of another kitty companion. I kind of just do my own thing when it comes to other animals, but I am a huge fan of people. I welcome petting and brushing and will roll over and flirt with visitors who stop by to say hi! Even though I’m pretty mellow and would do fine in a household where there isn’t a ton of action, I also do well with children and would likely fit in just about anywhere! I’m just a black beauty waiting to be admired! Won’t you take some time to stop and smell the roses? This rose can’t wait to meet you! I come to you spayed, vaccinated, and microchipped for an adoption fee of $100.